This commemorative ticket stub would have admitted one patron to Borchert Field on Opening Day in 1946. The ticket has faded somewhat, and has suffered significant paper loss on the reverse, but the graphic design is strong and clear. 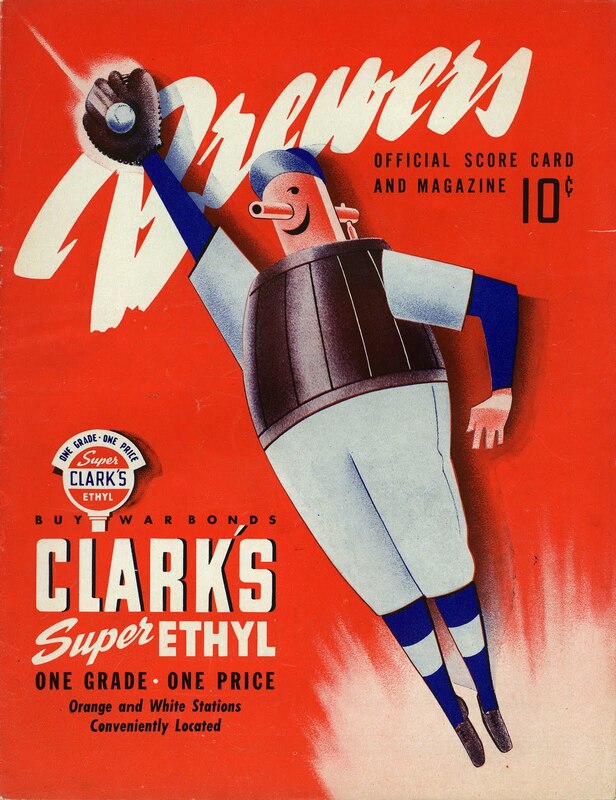 I love the bold graphic of Owgust, the Brews' mascot, going up for a fly ball. I love the big, bold graphics of this 1946 stub. 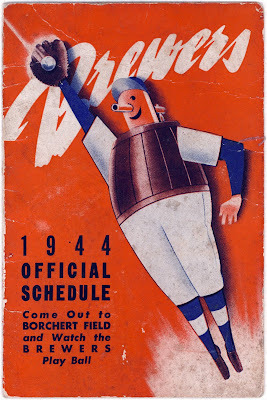 It was obviously well-loved, pasted into a scrapbook as a souvenir of the Brews' 1946 opener.